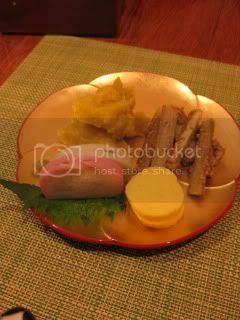 I spent busy afternoon in the kitchen to prepare all the (mostly traditional) Japanese New Year dishes, including some donabe dishes. 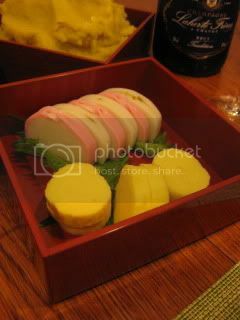 "Date Maki" - Rolled egg omelet including "hanpen" fish cake...served with Kamaboko fish cakes from Japan. 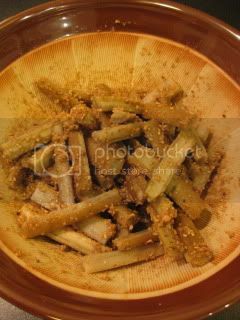 "Tataki Gobo" - Crunchy burdock root, tossed in sesame seeds and vinegar based sauce. 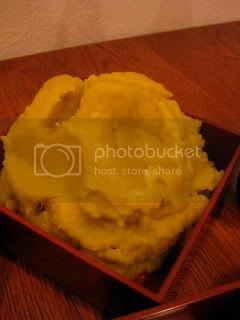 "Kuri Kinton" - Japanese sweet yam ("Satsuma imo") puree with sweet chestnuts. 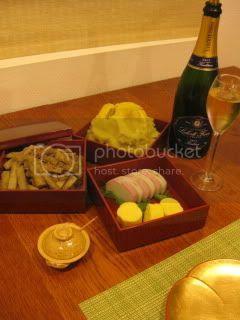 These dishes were served in the 3-tier lacquer box, with Laherte Freres, Champagne Brut Tradition (Chavot). This is 60% Pinot Meunier with 30% Chardonnay and 10% Pinot Noir. 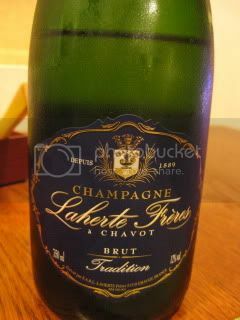 I thought this was a perfect "winter" Champagne because of the soft warm feeling from Pinot Meunier. Very elegant wine. 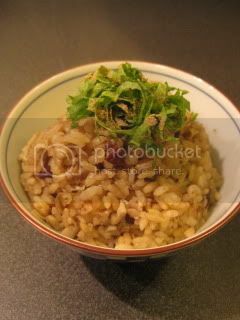 "Genmai Gobo to Azuki Gohan" - Burdock root and azuki bean brown rice. 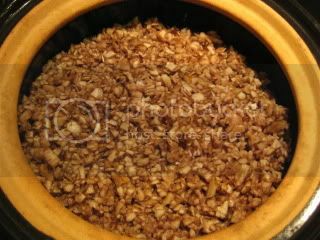 Cooked with the double-lid donabe rice cooker, "Kamado-san". 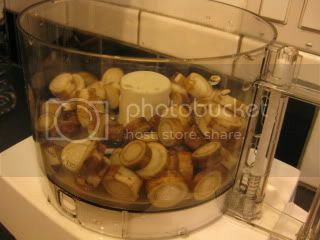 Burdock root was put in a food processor and pulsed until they are about the size of rice grains. 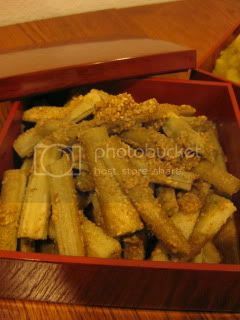 The rice was served with sauteed kabu (Japanese turnip) greens. 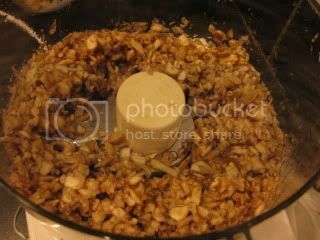 I will try to post the recipe soon. 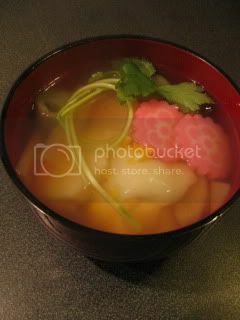 "O-zoni" - New Year clear soup with vegetables and mochi (rice cake). 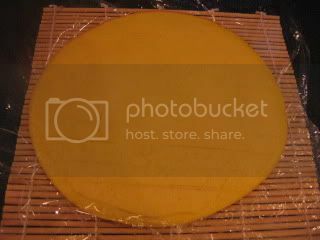 It was made in the soup & stew donabe, "Miso-shiru Nabe". 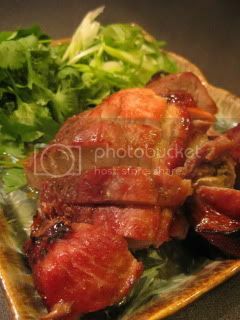 I also made Cha-shiu style roasted pork! What a wonderful way to start the new year. 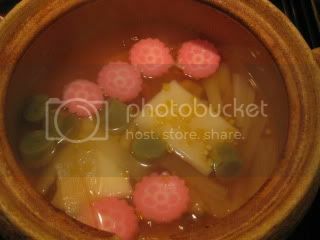 Everything came out really nice, and Jason loved all the dishes. 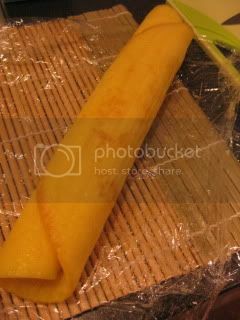 Tomorrow is another big dinner with friends at home...so I will cook more!